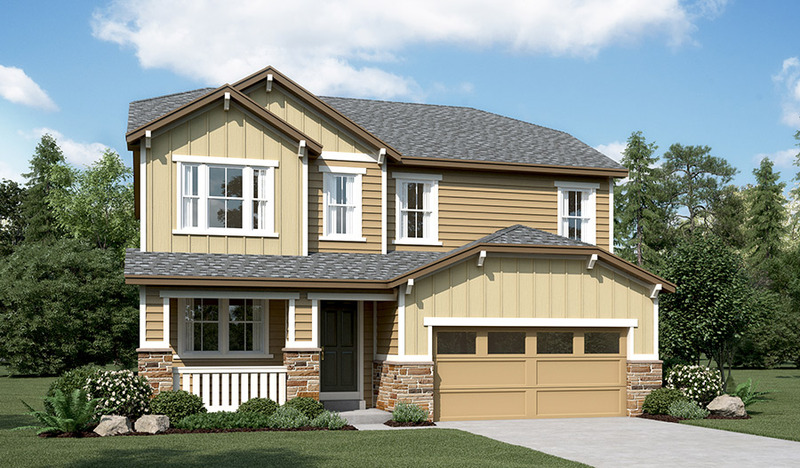 Front yard landscaping and a covered front porch welcome guests to this model home. Off the entry are a private study and a powder room. Toward the back is a spacious great room boasting a corner fireplace with tile surround. An open dining area flows into the well-appointed kitchen, which features a central island, walk-in pantry, maple cabinetry, granite countertops and a nearby mudroom. Upstairs, you'll find a versatile loft, laundry room and four inviting bedrooms, including an elegant master suite with an immense walk-in closet and deluxe bath with separate tub and shower and double sinks. The finished basement provides additional living space with a rec room, fifth bedroom, full bath and airy 9' ceilings.